As the vacation season comes into full swing in 2011, Villazzo has been busy adding breathtaking, new VillaHotels and “V” Villas to our roster of luxury properties in order to meet our personal goal of offering five select VillaHotels and 10 “V” Villas for each Villazzo destination. Looking ahead to summer, we’ve also expanded our selection of luxury villa rentals for Saint-Tropez, which will be a major focus for us heading into the warm weather. In the off-season, my team and I personally analyzed the entire luxury villa market of more than 200 villas in Saint-Tropez and discovered three of the best properties there. VillaHotels Nathalie, Nicole, and Isabelle are by all standards the top three luxury villas in all of Saint-Tropez for their size, décor, privacy, and amenities. We also discovered “V” Villa Janina for this season as well, which offers one of the best values in all of Saint-Tropez based on its affordable weekly rate. 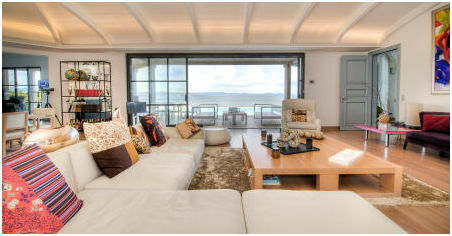 In addition, Villazzo has added exciting new properties to both the Miami and Aspen destinations. Since we are currently in the midst of the Aspen ski season, we’ve focused specifically throughout the winter on adding three stunning Aspen properties, all of which capture the charm, comfort, and luxury that Aspen is famous for. Please take some time to read about our new VillaHotels and “V” Villas below, and plan to book your luxury vacation for the summer before it is too late! Want To Be In Saint-Tropez For the Peak Season? Then NOW is the Time To Book Your Villazzo VillaHotel! As you know, summer is upon us – and Saint-Tropez is gearing up for another season of exclusive fun and relaxation. If you’re planning on vacationing in Saint-Tropez for the peak summer season between July 15th and August 15th, then there’s no time to delay – all of the top luxury villas are being booked now and are going fast! We’ve just added several brand-new VillaHotels and “V” Villas to our wide-ranging selection of properties in Saint-Tropez. VillaHotel Isabelle (starting at €10,000/night) is a luxury villa designed to bring the sunny St. Tropez summer right to you both inside and out. 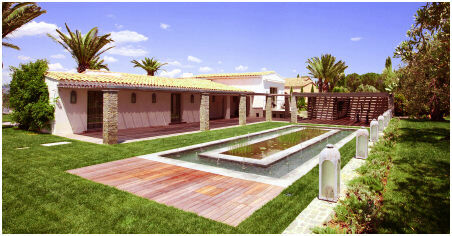 The villa features an impressive nine bedroom, nine bathroom design amidst traditional Mediterranean architecture. VillaHotel Nicole (starting at €7,300/night) features plenty of outdoor amenities to entertain yourself or guests, such as an impressive swimming pool, lush gardens, and sunny terraces, while the six bedrooms and bathrooms, along with a comfortable, roomy interior offers comfort and luxury at its finest. Last but not least, VillaHotel Nathalie (starting at €7,300/night) is perhaps the most spectacular luxury villa we have come across in Saint-Tropez to date, and is by far our premiere VillaHotel. This spacious 5-bedroom luxury villa features an incredibly private surrounding with helicopter pad, large swimming pool, and terraces with breathtaking views of the sea and beach, while the interior offers guests a level of elegance and comfort that is simply unmatched in Saint-Tropez. 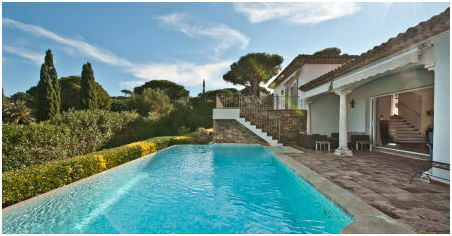 Villazzo also has a new “V” Villa in Saint-Tropez as well. “V” Villa Janina (starting at €11,400/week) is a four bedroom, four bathroom luxury villa that features sunny terraces, beautiful views, an inviting swimming pool, and more. We believe it to be one of the best values in all of Saint-Tropez. Along with the new “V” Villa Clara (starting at €23,400/week), we now have a wide selection of affordable “V” Villas to choose from. Here at Villazzo, we’ve already booked VillaHotel Nathalie for July. The good news, however, is that peak season vacation slots for our other top-notch VillaHotels, Isabelle and Nicole, are still available. But time is running out, and all of our best properties will be completely booked for summer very soon! Don’t get left out of the 2011 summer season in Saint-Tropez! Contact us now to book your vacation! March in Miami With Villazzo Means Music, Sun, and Fun! While the world seems to be snow and ice covered, balmy Miami beckons to us all, with its abundant sun, salty breeze, and luxury living. Because Villazzo is headquartered in the heart of Miami Beach, we have our finger on the pulse of what’s hot and what’s not for each season. And speaking of pulses, hearts will be racing to the beat of two of the world’s top music festivals, the Winter Music Conference and the Ultra Music Festival. The Ultra Music Festival runs from March 25th to 27th and features the world’s top electronic, house, and dance musicians on one stage, including Underworld, The Chemical Brothers, Moby, and New Wave progenitors Duran Duran. Luckily for you, Villazzo has a wide range of VillaHotels and “V” Villas available for you to book for Ultra, or just getting away from the miserable end of winter! We’re particularly excited to announce a new addition to our roster – VillaHotel Valentina(starting at $7,300/night). When you think of Miami luxury, you imagine a contemporary luxury villa with clean lines, panoramic windows, a stunning view, and amenities inside and out that satisfy your every desire. VillaHotel Valentina delivers all of this and more. As an added bonus, we managed to negotiate special introductory pricing for VillaHotel Valentina that is well below its true market value and should normally rent for much more. Take advantage of our incredibly low rates on VillaHotel Valentina now! Villazzo Explodes Onto the Winter Vacation Scene in Aspen! As we begin to see an end to the winter season, now is the last chance to book your exclusive luxury Aspen vacation with Villazzo! For a limited time, we are offering a 20% off promotion for VillaHotel Rose ($4,300/night instead of $5400/night). The sprawling, 7-bedroom layout, rustic décor, and private views of Aspen’s mountain vistas make VillaHotel Rose one of our favorite Aspen properties. 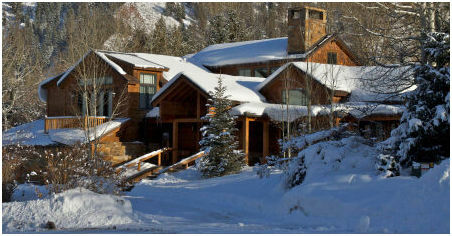 The 2011 ski season is quickly coming to an end in Aspen, so be sure to book your final ski vacation with Villazzo at VillaHotel Rose! Contact us for more information. This entry was posted on Thursday, March 10th, 2011 at 1:09 pm	and is filed under Villazzo Newsletters. You can follow any responses to this entry through the RSS 2.0 feed. You can leave a response, or trackback from your own site.